Joint exhibition for artists from Hong Kong and Korea. Roger Lin Studio has been dedicated to promoting contemporary Arts and Culture within and across the border for over 10 years in the community. With the success of last year’s ‘Simulacra Affinity’, this year we continue to curate the exhibition “Nuclear Fusion”, exhibition in both Hong Kong and Korea to promote the art and cultural exchange between Hong Kong and Korea. Roger Lin Studio has invited outstanding local and Korean artists, ranging from internationally renowned to up-and-coming young artists. 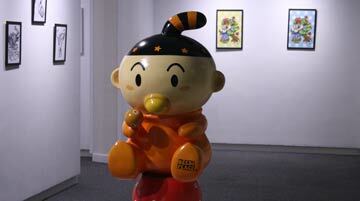 By featuring their works, Roger Lin Studio wishes to showcase some very fine artworks to the Hong Kong audience.